I remember when I first developed a healthy interest in cooking. One of my early gifts to myself, setting out on my own with my 1-year-old in our own place, was a set of pots and pans with lids and mixing bowls (8 years later, I still have that set and use it faithfully!) but I’d never really used it. Back then, I was living on a steady supply of Papa John’s and Jimmy John’s – college life, sue me – and my sparkling kitchen set remained under the stove. 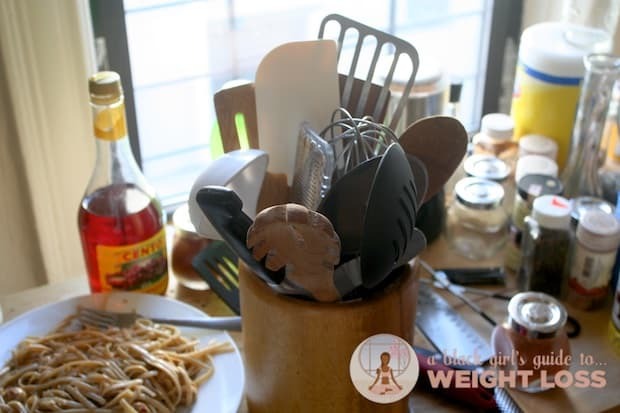 So, when I finally started using those pots and pans to make my early stir-fry dishes, I was scraping the daylights out of my skillet, using my fork and knife in my skillet to get things done. And, while that worked for a little while, it started to impede my ability to properly cook through all of my dishes. I started burning more things, which resulted in wasted food or (in some ways, even worse) awful tasting food – because my ego refused to let me believe I’d cooked something that badly….oh, how I was wrong – and that slowly started to deflate my desire to continue toying with cooking. One day, I just got a wild idea to invest in a few pieces of cooking equipment – nothing major, but I couldn’t help but wonder if there was a reason why it seemed like I was the only one attached to using a fork and a steak knife for cooking. There had to be more to it than that, right? I loaded Mini-me – then 3 – into her stroller, and walked to the grocery store. I’d still had a little bit of money left over for the week, so I’d decided to use a little bit of it on cooking utensils. And, instantaneously, my cooking shifted. Flavors that you choose make a world of difference, sure, but so does your technique – and having the right tools makes a world of difference. That’s why, in an effort to help you #MakeYourMove towards healthier eating, I’m partnering with Kohl’s on this post to share with you the few little tools that every beginning chef needs to make their healthy cooking a breeze in the kitchen! a) Rubber/silicone durable spatulas of varying sizes: When you’re making a sauce, or a dough for biscuits, you need to be able to scrape every little bit of your mix out of that bowl and into your chosen container. Rubber spatulas are how you get that done. This 2-piece set of silicone spatulas from KitchenAid will do the trick. The large one, you use for large mixing bowls; the small one, for measuring cups. b) Steel-ish spatulas: When you use a fork to try to pick up or turn something that’s potentially stuck to your skillet, you can wind up breaking or tearing it. Having a wide, flat spatula that isn’t durable will help keep large pieces of foods together while you get your flip on. 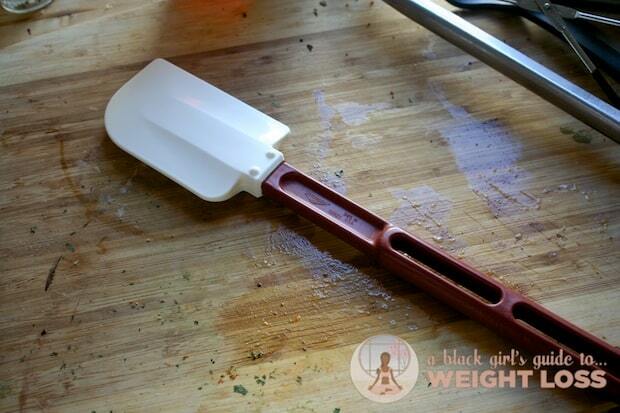 A steel spatula much like this one from Bobby Flay‘s brand will help get the job done. Chef’s knife, slicin’ and dicin’! c) Chef’s knife: I know that lots of people are afraid of having big knifes in the house – my mother was – but I also know how often my mother cut the daylights out of herself trying to cut potatoes with a steak knife. You have to use the right tool for the right job, and a proper chef’s knife is what you use to cut vegetables, particularly as a beginner. A chef’s knife has a flat side – usually for steadying – and a curved sharp edge for the rocking motion necessary for cutting efficiently. This Ginsu Koden Series Chef’s Knife, at $13.99, might be a bit jazzier than my cheapskate $4.99 joint that I got from Publix, but at least yours may not fall apart 4 years after you first bought it! My old faithful, my colander! 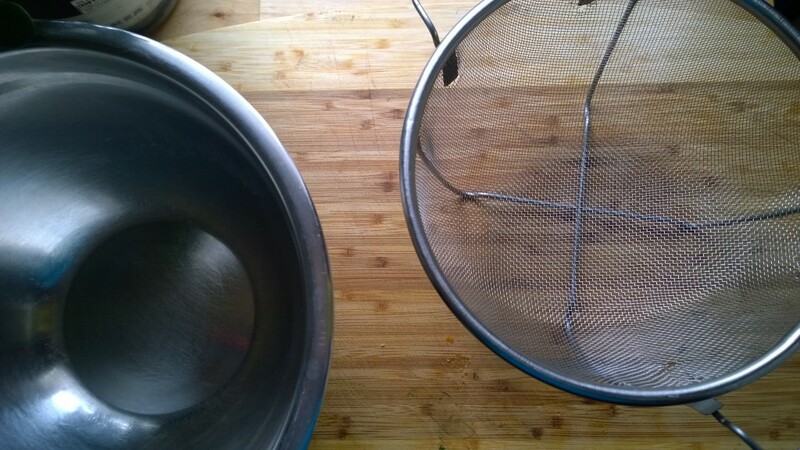 d) Colander: When blanching, braising, or boiling pasta or veggies, how do you safely separate the hot water from the product? Enter: the colander. Instead of trying to steady a heavy pot of water and food with one hand and using a fork in the other to try to control the pour-out situation without splashing water everywhere – or, as I’ve done before, drop the entire pot on the floor – you set your colander in the base of your sink, pour the entire contents of the pot into the colander, and it catches everything solid while letting the hot water spill through. You don’t waste food, and you properly – and safely – drain your pot! Win win! Check out this square colander from Joseph Joseph for an inexpensive and handy colander. e) Durable cutting boards: When working with raw meat, namely poultry, you always want to use a separate cutting board that’s easily cleanable and resistant to harboring bacteria to keep your prep surfaces consistently clean. Having a durable cutting board helps you do just that. Check out my cutting board! 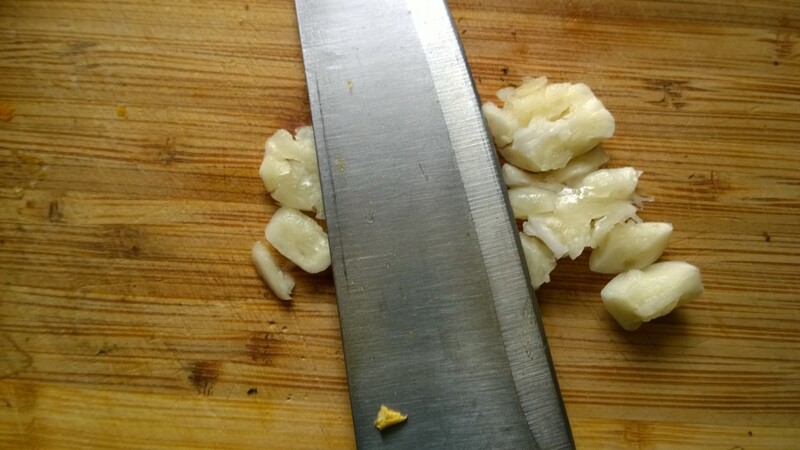 f) A good, sturdy cutting board: If you’ve noticed, I do all of my cutting on a cutting board. It’s easy, transportable, quicker to clean, and gives me extra counter-space – I can simply pull off the cutting board and use the same work space to start prepping plates for dinner instead of having to clean in-between steps. This pair of bamboo cutting boards are inexpensive, sturdy, and come two to a pack! g) Metal tongs: If you’ve ever tried to put something in a pot of boiling water using a fork, only for that item to slide off the fork and drop into the water, then you’ve proven why tongs are important. They grip and hold onto whatever you’re working with, allowing you to safely place it in the pot or skillet from a safe distance, without risk of splashback or other injury. Besides, grease splashback can cause a fire. No good. Use these tongs from OXO, and skip the first degree burns. All in all, these tools are great starting assets to have in the kitchen to not only keep you safer, but to also speed up the cooking – and cleaning – process! What tools would you add to the list? What Does It Look Like To Lose Almost 170lbs?